The MGIB-AD program—sometimes known as Chapter 30—provides education benefits to Veterans and Servicemembers who have at least two years of active duty. Assistance may be used for college degree and certificate programs, technical or vocational courses, flight training, apprenticeships or on-the-job training, high-tech training, licensing and certification tests, entrepreneurship training, certain entrance examinations, and correspondence courses. Remedial, deficiency, and refresher courses may be approved under certain circumstances. Benefits are generally payable for 10 years following your release from honorable active service. Get the Montgomery GI Bill Active Duty pamphlet (PDF). Eligible Servicemembers may receive up to 36 months of education benefits. The monthly benefit paid to you is based on the type of training you take, length of your service, your category, any college fund eligibility, and if you contributed to the $600 buy-up program. You usually have 10 years to use your MGIB benefits, but the time limit can be fewer or more years depending on the situation. View current payment rates. $600 Buy-Up Program. 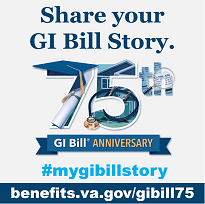 Some Servicemembers may contribute up to an additional $600 to the GI Bill to receive increased monthly benefits. For an additional $600 contribution, you may receive up to $5,400 in additional GI Bill benefits. The additional contribution must be made while on active duty. View increased monthly rates and contact your personnel or payroll office.